March 2014: Message for The Vatican and Cardinal Pell in Sydney. Who evidently thought (by 24-3-2014) that people complaining about Catholic priests sexually-abusing children are "enemies of the Church". Below is a choice quote from the first enemy of the Church to speak on such issues. "If anyone causes one of these little ones - those who believe in me - to stumble, it would be better for them to have a large millstone hung around their neck and to be drowned in the depths of the sea." Is it the case then that The Vatican has become its own millstone because it cannot understand its founder's own words? What could be clearer? Lost Worlds has lately (18 March 2009) had e-mail from US (East Texas) writer, Larry West, who is now promoting a new edition of his self-published book, which he has been working on since 2003 if not earlier. The book is Our Common African Genesis, and it's not a little explosive. For which Larry West makes no apology at all. Our Common African Genesis, 2nd Edn, 2008-2009. Here, Larry West blows the lid off of 3000 years of racist Western history and religion, including pseudo-science about evolution and genetics, as only a white man might do from the inside. Wanting always to pen the errata to three millennia of tribal animosity turned canon and curriculum, he turns the tables on the fraudulent 20th century history of the great Mediterranean White Race and exposes the literary genocide of the whole race of Cushites. A full chapter is devoted to the notorious publication, NOT Out of Africa (Lefkowitz, 1996), its truths, its lies, and its intent, a late 20th century lynching by Academia. Its billing as academic work is exposed as a Smoke Screen for its appeal to white Popular Belief in their supremacy. Its reviewers are also pilloried with the same derisiveness; unqualified praise and Inflation of Conflict from clueless reviewers exposes the sham as much as the essay itself. Were it not so tragic, their lame attack on Afrocentrism would be laughable. Recognizing what chronic liars are trying not to say helped break this case. The Bible does not escape West's scrutiny as the animosity towards Ethiopians and the subsequent name-calling crept into our languages and thoughts, affecting everything we think and do. He says In the finger pointing [that] the Hebrews used to rationalize the Exodus and Conquest, the Egyptians and Canaanites became the most maligned race in history. The racial profiling in the Old Testament is prima facie evidence of the race of the authors race and it all continues unabated. Black Christians' belief that Mary and Jesus were black is revealed as a remnant of the previous cult of the Egyptian Black Madonna whose temples covered the Greek and Roman empires. Those temples were ordered destroyed and Roman Christian churches were built in their place with a white Madonna presiding. The Christian mythology goes back so far that we don't know its origins except for the ancient Ethiopian celebration of the Reborn Sun every year at Xmas under the constellations Virgo and the Stable with the Three Kings in the belt of Orion pointing to the Star of the East. West says, "The Pope is seen as a remnant of Pharaoh but don't expect the Vatican to buy into that even though an obelisk to the Egyptian Jesus is smack in the middle of Vatican Square." It took four tries to get Western Civilization off the ground, with three intervening Dark Ages, the Hebrew, Greek and Roman, all four grafted onto an Ethiopian rootstock, including the long tap root of the hybrid Hebrew and Christian religions. The Levites, Alexander, Jesus, and Paul were all schooled in the Ethiopian mythologies and rituals. Genetics traces the flow of Ethiopian genes into Canaan, Phoenicia, the Aegean, and on into Florence, implying their strong influence on, if not descent to, to the greatest thinkers of ancient Western Culture. This scientific evidence alongside a mountain of circumstantial evidence and expert testimony should close the case for good. The dark Whites whom Toynbee said started ten civilizations are the Ethiopians of Greek fame and the Cushites of the Bible. The Family of Ham coincides with findings from genetics. The book is heavily referenced and indexed. In the apology at the end, the author wryly remarks that he tried to gore everyone's ox; if he left anyone out, he apologizes. The author is mindful of the Rules of Evidence and the Fallacies of Logic and apologizes for his failings in that vein. Larry West takes no solace in recognizing the race and religion of every author he reads, a chronic side affect of sixteen years of painful research into Our Common African Genesis. Price: $15.95 - Our Common African Genesis, 2nd Edition, by Larry West, traces the origins of modern humans and early civilization through genetics, linguistics, archeology, history, and the Books of Moses. The author contends that despite the widespread predominance of ancient Africans, they are persistently slandered in the Old Testament and, in turn, dismissed from modern history. Writes the author, In the finger-pointing used, the Hebrews contrived to rationalize the Exodus and Conquest, the sins of the world were dumped on Egyptians and Canaanites making them the most maligned race in history. 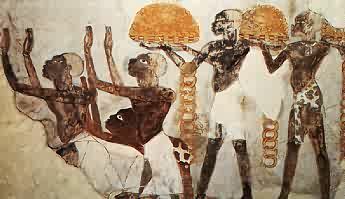 Desecration of Our Common African Genesis continued unbelievably into the 20th century, historians deluding Egyptians were Caucasians, ranting that Africans developed no civilization, by 1996, babbling their history obscure, their Aegean influence NOT Out of Africa. This literary genocide swept an entire race of people from history, the pen a continuation of Joshua's swift sword, a psychopathic denial of the Nilotic gene flow north. The author of Our Common African Genesis. Mr. West turns the tables: "Historians" tales of the Mediterranean Caucasians are the most Afrocentric history in existence, quite opposite the intent. Educational, derisive, yet entertaining, Our Common African Genesis weighs energetically into heated dialogues about science, history, race, religion and religious heritage. 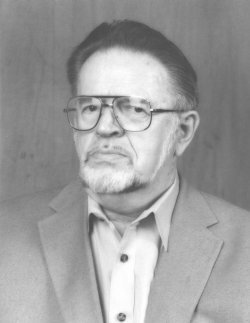 Larry West has been a laborer, musician, scientist, engineer, teacher, and author, wanting always to pen the errata to three millennia of tribal animosity turned into canon and curriculum. In American terms he comes "from deep country". He is the only son of a farm hand, and the second family member to finish high school, he nonetheless graduated from the Universities of Illinois and Maryland. A lifelong disgust with the bigotry of religion led to this book. Says Larry West, "After forty years, I met the Children of Ham, re-assessed my own history, was shocked by the genocide and by religion's subliminal control, and academia's brazen goose-stepping." He is married with two grown children and currently resides in East Texas. Lost Worlds has lately (27 November 2003) had email from US writer Larry West who is now promoting the second edition of his book. Anyone who has read Chancellor Williams's book, Destruction of African Civilization, will enjoy Larry West's new revised edition. Vantage Press is proud to announce the release of the 2nd edition of OUR COMMON AFRICAN GENESIS by Larry West. OUR COMMON AFRICAN GENESIS attempts to trace the origins of modern humans and of early civilization in Africa and the Middle East through genetics, linguistics, history, and the Hebrew Books of Moses. The author's conclusions will disturb true believers of Judaeo-Christian scriptures. Mr. West questions the teachings of the church and their influence on perceptions of race in history; for example, the predominance of the ancient Africans and their culture at the dawn of history is well attested, but they are persistently slandered by the authors and/or editors of the Books of Moses. He concludes that we have been "programmed" by this ancient stereotype. And, we're still paying for the sins of Abraham. The only way Black folks can accept these tales is to color everyone in the Bible Black. Mr. West takes us back in time, trying to recover Our Common African Genesis, but finds it now obscured by the imposition of Yahweh/God between ourselves and our ancient past. He concludes that this aberration, aggressively marketed by Christianity, has left society with highly distorted views of race, religion, and history. The ancient African gods of the Old Testament were replaced by the God of the Christians, the Egyptian temples of the Black Madonna razed, and the scriptures edited to tell a "new story" suitable to the fathers of the early Roman Christian Church. The Jewish holidays were separated from the African holidays and the Christian holidays separated from their Jewish counterparts. History and religion now begin with white men, not their African teachers. Nevertheless, Christmas still falls on the Winter Solstice. Noblesse oblige. Mr. West has been a laborer, musician, scientist, landscaper, teacher, engineer, and unemployed, the last position kindling the urge to write. 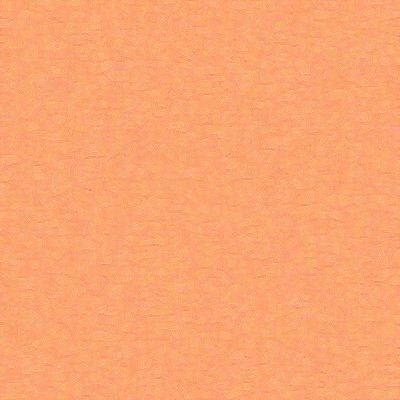 This short essay came from a lifetime of unanswered questions, twelve years of studies, and several painful revelations. See also: Cheikh Anta Diop, The African Origins of Civilization: Myth or Reality. (Edited and translated by Mercer Cook). Westport, Lawrence Hill and Co, 1974. After the first French edition of 1955. The 1974 edn, ISBN 0-882080-021-0. 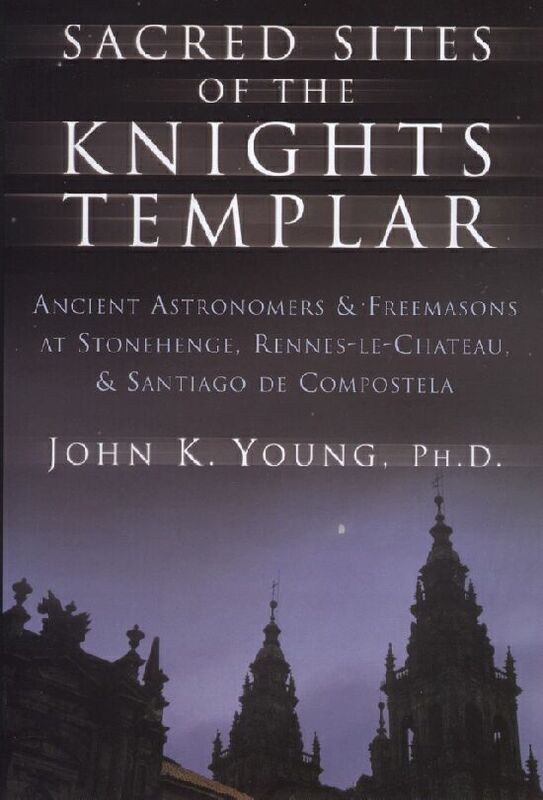 John Young's contribution to study of The Templars. Hi, I visited your website at ... and noticed that it includes links to international volunteer organisations. I run the Global Volunteer Network, a non profit organisation. We place volunteers in community projects in China, Ecuador, Ghana, Nepal, New Zealand, Romania, Russia, Thailand, and Uganda. Volunteers have the opportunity to participate in a variety of educational, environmental and community aid programs. Examples of the exciting and rewarding activities available to volunteers include teaching English, environmental work, AIDS education, and assisting in an orphanage. I would appreciate it if you would consider adding our URL to your links page. Thank you so much! Kind regards, Colin Salisbury. One of Lost Worlds' e-mailers has become very curious about the origins/derivation of the word "Israel", and would like to know when in historical time the word was first used? In the Old Testament, the word "Israel" is used in several contexts; to refer to a people (who have a covenant with God), a nation, a kingdom, a state. The e-mailer would like to know more on the cultural backgrounds of such usages of the term, "Israel" in terms of chronological time - its origin and symbolic/secret meanings...etc. We'd both be glad to hear of any views on these matters from around the world - just use the email form available above on this page to contact us -Ed. One of Lost Worlds' emailers has become very curious about the origins/derivation of the word "Israel", and would like to know when in historical times the word was first used - and why? The emailer would like to know more on the cultural backgrounds of such usages of the term, "Israel" in terms of chronological time - its origin and symbolic/secret meanings ... etc. We'd both be glad to hear of any views on these matters from around the world - just use the e-mail form available on Lost World's pages to contact us -Ed.